On April 21, Ruhiyyeh Narimaan (روحیه نریمان) was informed that the charges against her — for which she served five months of a 30-month sentence — have been dismissed by the Court of Review. She is already free, having been provisionally released from prison in Shiraz on March 9, pending a sitting of the Provincial Review Court. Mrs. Narimaan and her husband Farzaad Delaaraam (فرزاد دلارام) were originally sentenced to five years in prison by the notorious Judge Sadati ( قاضی ساداتی), but the Review Court reduced this to two years and six months for Ruhiyyeh Nariman and one year for Faarzaad Delaaraam. They were arrested in Shiraz on October 8, 2018, to begin serving their sentences, so she served five months of her sentence. Her husband was released in early February, benefiting from an amnesty for some prisoners of conscience marking the fortieth anniversary of the 1979 Revolution. Mrs. Nariman’s release is not related to the amnesty, and no reason is given in this report. It is possible that it relates to a January ruling by the Alborz Province Review Court, in the case of Liza Tebyanian Enayati (لیزا تبیانیان ( عنایتی), that teaching the Bahai Faith is not equivalent to “propaganda against the regime” and is not a crime. Mohsen Mehrgaani (محسن مهرگانی) was released from Isfahan prison on April 20. This is a conditional early release. He has served one third of his sentence, beginning on January 5, 2019. Although his sentence was 20 months, the three months he spent under interrogation and in prison between his arrest on January 24, 2017, and his release on bail in late April or early May, 2017, have been taken into account, giving a total of over six months served. Saeed Nasseri (سعید ناصری), who was arrested in Tehran on March 11, was released on bail on April 18. Bail was set at 500 million tumans ( 105,000 euros; $US 119,000 ). He was arrested after going to the Evin detention center to inquire about the condition of his brother Hamid (حمید ناصری), arrested on the same day, and of his wife Afsaneh Emami-Nasseri ((افسانه امامی(ناصری), arrested 40 days earlier. 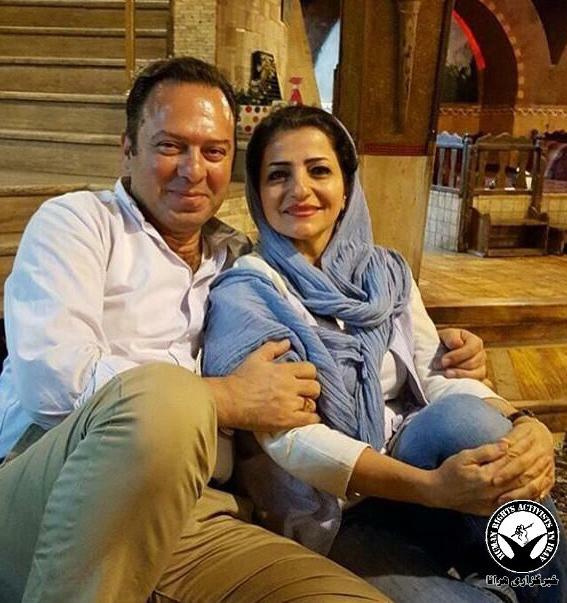 She has since been released, also on bail of 500 million tumans, but Hamid Nasseri remains in prison. Dhabihullah Ra’ufi ( ذبیح الله رئوفی ), a 70-year-old Bahai from Sanandaj, has set out from his home to serve his sentence of one year in internal exile in Minab, a town in Hormozgan Province which is 1700 kilometers from his home. He was also sentenced to one year in prison, but after serving just over four months of this sentence he was freed on March 12, under a prison amnesty marking the 40th anniversary of the 1979 revolution in Iran. Last week he received a summons to appear at a court in Minab. He was charged with “propaganda against the regime,” which apparently related to follow-up actions he took following the destruction of the Bahai cemetery in Sanandaj. His wife Parvaneh Rahmani-Ra’ufi (پروانه رحمانی رئوفی) was also sentenced to one year in prison and one year in exile, but (contrary to my previous report) this sentence was nullified by the Review Court on September 3, 2018. She is accompanying her husband into exile. Mr. Ra’ufi was previously arrested in 2009, and sentenced to 6 months in prison on charges of propaganda against the regime, followed by 6 months in exile in Tuyserkan. He also served his six-month prison term in Tuyserkan. And in June, 2011, the Ministry of Intelligence in Sanandaj conducted mass interrogations of the Bahais there, seeking information on how Sanandaj’s Bahai community is managed. One of those questioned was Dhabihullah Ra’ufi. Mo’in Muhammadi (معین محمدی), a Bahai living in Yazd, was released on bail on April 10. He was arrested by agents from the Ministry of Intelligence on January 9 this year. At the end of March he was sentenced to six years in prison by the Revolutionary Court in Yazd, and has apparently remained in detention since his trial — presumably because it has taken this long to arrange bail. Bahais sentenced to prison in Iran often wait some years before there is a place for them in prison. Mr. Muhammadi has been involved in environmental issues, but the charges against him have not been specified. The Provincial Review Court has reduced the one-year sentences of Mahbub Habibi (محبوب حبیبی), Pejman Mehryaari (پژمان شهریاری) and Kurush Ruhaani (کوروش روحانی). Mr. Habibi and Mr. Ruhaani have been sentenced to six months in prison, on charges of “propaganda against the regime,” while Mr Merhyaari has been sentenced to three months and one day, on the same charge. They were informed of the reduced sentences on April 7. On November 15, 2018, six Bahai-run businesses in Khorramshahr were sealed by the order of the judicial authorities. In the five months since then, they have been allowed to reopen, one by one. On April 6, the sewing machine shop of Kaambiz Azaadi (کامبیز آزادی) reopened. In late March and early April the optician’s shops of Hossein-Ali Habibi (حسینعلی حبیبی) and Behnaam Habibi (بهنام حبیبی) and the engine repair shop of Kouroush Jaaberi (کوروش جابری) reopened. The optician’s shops of Behrouz Habibi (بهروز حبیبی), and Bahaador Ahmadi (بهادر احمدی) were apparently allowed to reopen in early January, although this was not reported at the time. The sealing of businesses was ordered in response to the owners having closed their businesses for a day in observance of a Bahai holy day. By law, as cited in Item B of Article 28 of the Commercial Union Law, citizens are allowed to close their business up to 15 days a year without providing authorities any reason or informing the Association for their industry. However, this legal provision is not extended to cover Bahais, and authorities routinely penalize Bahai business owners for observance of their Holy Days, by sealing their businesses. Mo’in Muhammadi (معین محمدی), a Bahai living in Yazd, has been sentenced to six years in prison by the Revolutionary Court in Yazd. He was arrested by agents from the Ministry of Intelligence on January 9 this year. The agents then searched his father’s home and seized a laptop, books and a mobile phone. He has been involved in environmental issues, but the charges against him have not been specified. Zhinous Sobhani ( ژینوس سبحانی ), a Bahai human rights activist who has been arrested and sentenced previously, was arrested at her home in Tehran on March 31. Security agents searched her home and seized a laptop and telephone. The reasons for her arrest and the place of detention is not known. Ms. Sobhani, a former secretary of the Organisation for the Defence of Human Rights, and a member of the Organisation for Mine Clearance, was arrested on January 15, 2000, and bailed on March 11 of that year. She was arrested again in January, 2010. On October 13, 2010 she was sentenced to two years in prison. [Update] She was released about 24 hours later. The last month of the Persian year 1397 (corresponding to 2018-2019 in the Gregorian calendar) was an eventful month for Baha’i prisoners. On one hand, some of them were released; on the other hand, trials, indictments, arrests and searches of their homes continued for these citizens in various cities in Iran. On February 11th, the anniversary of the Islamic Revolution, 17 prisoners who had less than a year remaining of their sentences were pardoned and released in Shiraz, Mashhad, Ghaemshahr, Isfahan, Sanandaj and Yazd. Pouya Tebyaaniaan (پویا تبیانیان), one of the prisoners, was released from prison in Semnan, upon the completion of his seven-year sentence. Shayda Qodousi (شیدا قدوسی), a Baha’i prisoner in Gorgan, who had been sentenced to five years in prison, after serving one-third of her sentence was released on probation in the last days of the Persian year (which ended March 20). Maryam Ghaffaarmanesh (مریم غفارمنش) and Atosa Ahmaada’i (آتسا احمدائی) were also released from Evin prison, after serving respectively 6 months and 45 days of temporary detention. As reported by Iranwire, on March 11 security agents in Tehran arrested two Baha’i brothers, Hamid Nasseri (حمید ناصری) and Saeed Nasseri (سعید ناصری). Hamid Nasseri was arrested on the street in front of his business, and Saeed after going to the Evin detention center to inquire about the condition of his brother Hamid and of his wife Afsaneh Emami-Nasseri ((افسانه امامی(ناصری). At the time of Saeed’s arrest, 40 days had passed since the arrest of his wife, Afsaneh Emami. She was released on bail in the final days of the year, but Saeed and Hamid Nasseri still remain in detention. The sentence against Ghazaaleh Baaqeri Taari (غزاله باقری طاری), a Baha’i from Tehran, who was tried in December 2018, was issued in February of this year. She has been sentenced to five years in prison for the crime of “activities against national security because of membership in the Baha’i administration”. She was arrested by agents of the Ministry of Intelligence in September 2017, during a religious gathering at her home, and was released on bail three weeks later. Kaaviz Nouzdahi (کاویز نوزدهی) is another Baha’i whose sentence was announced in February. A source with knowledge of the case told Iranwire: “The court hearing for Kaaviz Nouzdahi was held in late December 2018 in Branch 4 of the Islamic Revolutionary Court in Mashhad, presided over by Judge Mansouri ( قاضی منصوری). However on the day of the hearing the judge was not present, and the hearing was conducted by the court counselor, Mr. Farhikhteh (آقای “فرهیخته). The charges against Mr. Nouzdahi were “cooperating with hostile foreign governments” and “membership in an anti-regime organization”. The judge did not permit the defendant’s attorney to be present in court or review the case file. Their excuse was that the attorney named by Mr. Nouzdahi was not on the judiciary’s list of approved attorneys, and the court hearing was conducted without the attorney present. Article 48 of the New Penal Code states that in crimes against domestic or international security as well as organized crime, in the preliminary investigation phase the parties in the case must select their attorney or attorneys from among those approved by the head of the judicial branch. According to the verdict issued, Kaaviz Nouzdahi was acquitted of the charge of cooperation with foreign governments, and was convicted for the charge of membership in an anti-regime organization (i.e., membership in the Baha’i administration), and sentenced to four years in prison. Another Baha’i citizen, Neda Mokhtaari (ندا مختاری), was also sentenced to four years in prison by the verdict of Branch 5 of the Revolutionary Court of Mashhad presided over by Judge Mazloumi ( قاضی مظلومی) for the crime of “teaching the Baha’i Faith”. Twenty two Baha’i citizens began Naw-Ruz (the Persian New Year) 1398 on March 21, 2019, away from their homes and families in Iranian prisons. They were sentenced in Iranian courts to a total of 105 years of imprisonment. The verdicts against these Baha’is were issued based on articles 498, 499 and 500 of the Islamic Penal Code. The punishment for teaching the Baha’i Faith, membership and activity in this religious community is determined based on these articles of the law. 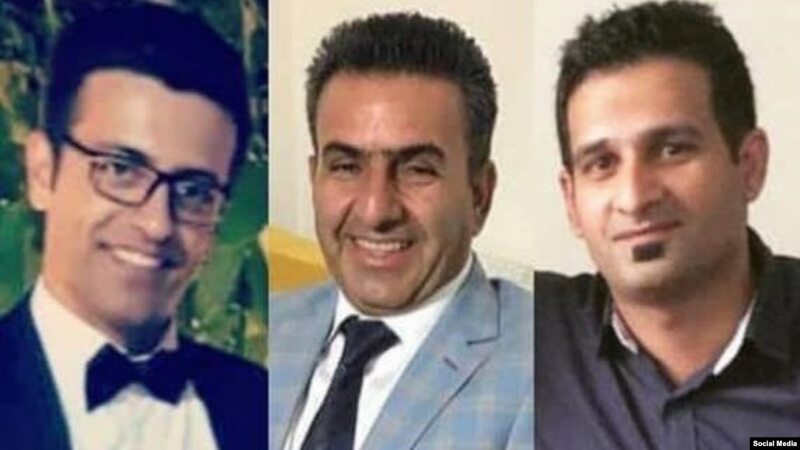 In Evin prison, four instructors of the Baha’i Institute of Higher Education (BIHE) are currently serving sentences for the crime of teaching youth who were deprived of a university education; Hassan Momtaaz (حسن ممتاز), Peymaan Kooshkbaghi (پیمان کوشکباغی), and Negin Qedamiaan (نگین قدمیان), each with five year prison sentences, and Azita Rafizaadeh (آزیتا رفیع زاده) with a four year prison sentence, are currently in Evin prison. Peyman Kooshkbaghi and his wife Azita Rafizadeh are among the incarcerated married couples who spent the final days of the year away from each other and from their young child. Adel Naimi (عادل نعیمی) with an 11-year sentence, Farhaad Fahandej (فرهاد فهندژ) with a 10 year sentence, Vaahed Kholousi (واحد خلوصی) with a 5 year sentence, and Afshin Seyyed Ahmad (افشین سید احمد) with a 3 year sentence, are the four Bahai prisoners in Rajai Shahr prison in Karaj. Shahnaam Jazbaani (شهنام جذبانی) is the only Baha’i prisoner in Gonbad-e-Kavoos in Golestan province. He has been sentenced to 5 years in prison. Isfahan, with 13 Baha’i prisoners, has the highest number of Baha’i prisoners in Iran. Nine of these prisoners were transferred to the Isfahan prison from the town of Baharestan. Of the nine, Sepideh Rouhaani (سپیده روحانی), Bahaareh Zaini (بهاره زینی), Fouzjaan Rashidi (فوژان رشیدی), each with a 3 year sentence, are incarcerated in Dowlatabad prison in Isfahan. Anousheh Raeineh (انوش راینه), Afshin Bolbolaan (افشین بلبلان), Milaad Daavardaan (میلاد داوردان), Farhang Sahba (فرهنگ صهبا) and Ali Saani (علی ثانی), each with a six year sentence, and Sahaam Armin (سهام آرمین), with a 3 year sentence, are the other six prisoners from Baharestan who have been transferred to Dastgerd prison in Isfahan to serve their sentences. In addition, Sohraab Taqipour (سهراب نقی پور), with a 5 year sentence, and Manouchehr Rahmaani (منوچهر رحمانی), Mohsen Mehregani (محسن مهرگانی) and Farzaad Homaayouni (فرزاد همایونی), each with a 20 month sentence, are four Baha’is from Isfahan who began the Persian New Year in that city’s central prison. 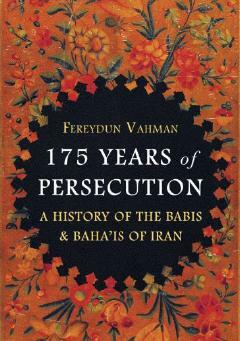 One World publisher has announced a well-documented and gripping account of the persecution of the Babi and Baha’i communities in Iran from its origin to the present time, by my dear friend Fereydun Vahman, Professor Emeritus of Iranian Studies at the University of Copenhagen. From the genocidal pogroms of the Qajar era, to the improved, but precarious situation during the Pahlavi years, and the re-emergence of the severe persecutions since the 1979 revolution in Iran, the Bahai community has been consistently disparaged, as foreign spies, devil-worshippers and enemies of Iran and Islam. The book also shows the resilience of the Baha’i community in the face of hatred and violence. Available as a hard cover and e-book, see https://oneworld-publications.com/175-years-of-persecution-hb.html. Sheida Qoddusi (شیدا قدوسی), who began her 5-year sentence in Gorgan prison on June 13, 2017, has been granted conditional release after serving one third of that sentence. She was one of 14 Bahais arrested in Gorgan in mid-October, 2012. A number of other Bahais were arrested at the same time elsewhere in Golestan Province. They were tried in their absence by Judge Qanbari (قاضی قنبری). Mrs Qoddusi was initially sentenced to 11 years in prison, reduced to five years by the review court. She has two children. She was granted a ten-day furlough from June 27, 2018. Maryam Ghafarmanesh (مریم غفارمنش) was released on bail from Evin Prison on March 17, after six months of detention without trial. 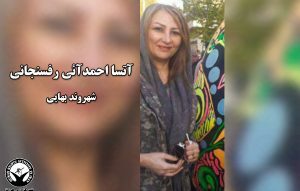 She was one of five Bahais arrested at a meeting for environmental education in Karaj on September 16, 2018. About 20 hours after her arrest, Mrs. Ghafarmanesh reported in a telephone conversation that her bail had been set at 300 million tumans (61,000 euros; $US 71,000), but she was not released at that time. She was kept under interrogation and in solitary confinement for two months, in the section of the prison run by the Ministry of Information, and was transferred to the general women’s block on November 14, 2018. Sa`id Naaseri (سعید ناصری) was arrested in Tehran at about 11 a.m. on March 11, after reporting to the Public Prosecutor’s office at Evin Prison. He was allowed a telephone call to tell family that he had been arrested. He had gone to Evin Prison to inquire about his wife, Afsaaneh Emaami (افسانه امامی), who was arrested on February 2, and also about his brother, Hamid Naasseri (حمید ناصری), who had been arrested a few hours previously, on the morning of March 11. Dhabihullah Ra’ufi ( ذبیح الله رئوفی ), a 70-year-old Bahai from Sanandaj, was released from prison on March 12. He has served just over four months of a one year sentence, but has been freed under a prison amnesty marking the 40th anniversary of the 1979 revolution in Iran. He was charged with “propaganda against the regime,” and his one-year sentence was to be followed by one year in internal exile in Minab, 1700 kilometers from his home. The sentence apparently related to follow-up actions he took following the destruction of the Bahai cemetery in Sanandaj. His wife Parvaneh Rahmani-Ra’ufi (پروانه رحمانی رئوفی) has also been sentenced to one year in prison and one year in exile, but has not yet begun her sentence (according to my partial information). On the morning of March 11, security forces arrested Hamid Naasseri (حمید ناصری), a Bahai living in Tehran at his work. It is assumed that he has been taken to Evin Prison. 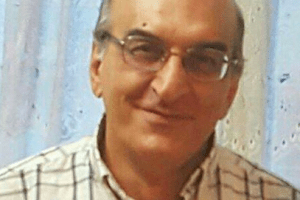 Hassan Momtaaz Sarvestani (حسن ممتاز سروستانی), serving a five-year sentence in Adel Abaad prison in Shiraz, was transferred to Evin prison in Tehran on February 26. It appears that this is so that he can receive medical treatment outside prison. Mr. Sarvestani was a teacher of Persian literature for the Bahai Open University (BIHE). He was first arrested in 2011, and was one of ten Bahais associated with the BIHE who were tried in Tehran on March 12, 2013. His sentence was handed down by Judge Maqiseh (قاضی مقیسه) on February 25, 2014, and confirmed by the review court. He was arrested to begin serving his sentence in Shiraz on November 15, 2017, although this HRANA report says he actually began his sentence on December 28, 2017. The court hearing for the charges against Faruq Izadinia (فاروق ایزدی نیا ), a scholar, translator and Bahai citizen of Tehran, was held last week in the Revolutionary Court of Tehran. The author, who is again free on bail, describes the process of his prosecution and last week’s court hearing in an open letter which Iran Press Watch has translated. He was arrested when his home was raided at 10.30 a.m. on February 12, 2017. He has also been arrested previously for his religious beliefs, including being among those sentenced to death in the 1980’s, but this sentence was reversed and he was released after a five-year prison term. The full report and his description of his trial is on Iran Press Watch. Atosa Ahmadaa’i Rafsanjani ( آتسا احمدآئی رفسنجانی), who was arrested in a raid on her home in Tehran on January 20, 2019, has been held incommunicado in Evin prison for 38 days. Today her family had the first news of her: she has been transferred from solitary confinement in a section of Evin Prison run by the Judiciary’s intelligence agency to a general section of the same prison. She has been denied access to her family since the time of her arrest, and Evin prison authorities refused to accept any personal belongings, health, money or clothing for her. Her family have now been told that they will be able to visit her from March 2. Her first name was previously reported on this blog as Atusa (آتوسا). There are no indications yet of the charges or reason for her arrest. Three Bahai women, Dori Amri (دری امری), Saaqi Fedaa’i (ساقی فدایی) and her mother Mey Khalusi (می خلوصی) have been granted early release from prison in Mashhad. A few hours later, Mr. Shaayaan Tafazoli (شایان تفضلی) was also released. The four were arrested in a raid on a Bahai religious meeting in Saqi Feda’i’s home on June 1, 2014. During the raid some religious books were seized. All four were charged with propaganda against the regime and sentenced to one year in prison by Judge Soltani ( قاضی سلطانی) in February 2018, and the sentenced were confirmed by the Review Court, but they did not begin their sentences until November 1 and (in the case of Shaayaan Tafazolli) November 28, 2018. Thus far, the amnesty has brought freedom to 36 prisoners of conscience in Iran, but has not yet included any of the many prisoners of conscience held in and around Tehran. On February 16, Fataaneh Nabilzaadeh (فتانه نبیل‌زاده), who began her one-year sentence on July 16, 2018, was released from prison in Mashhad under an amnesty for prisoners of conscience with short sentences. She was sentenced for her association with the Bahai University (BIHE), a distance-learning institute that offers education to Bahais, who are excluded from both state and private tertiary institutions under Iran’s form of apartheid. On August 13, 2013, as part of a series of raids on the BIHE across Iran, security forces raided her home, searched it, and arrested her, along with two students who were taking an exam: her son Peymaan Saraaf (پیمان صراف) and Daayaan Teymouri (دایان تیموری). The two students were bailed three weeks later, but Mrs. Nabilzaadeh was held for two months before being released on bail. In January 2018 she was sentenced to one year in prison for her educational activities. Mehraan Bandi Amir-aabaadi (مهران بندی امیرآبادی) and Mehraan Eslaami Amir-aabaadi (مهران اسلامی امیرآبادی), who began their one-year sentences February 2 this year, have been released in an amnesty for prisoners of conscience with confirmed sentences of less than one year, or those waiting to enter prison with sentences of six months or less. The amnesty marks the 40th anniversary of the 1979 revolution that overthrew the Shah. It is said that some 50,000 prisoners of conscience in Iran meet the requirements for release , which indicates how many prisoners of conscience are being held. These two Bahais were initially sentenced to 18 months in prison and one year of internal exile, but this was reduced to 12 months in prison by the Review Court for Yazd Province. They were among seven Bahais arrested in Yazd in January and February 2017. Five Bahais in Shiraz have benefited from amnesties for prisoners of conscience marking February 11, the anniversary of the fall of the Pahlavi Monarchy. Farhad Sarafraz (فرهاد سرافراز), Shahram Mansour ( شهرام منصور), Wahid Dana ( وحید دانا), Sa`id `Aabadi ( سعید عابدی) and Adib Haqqpazhouh were initially sentenced to one year in prison and one year in internal exile, which the Review Court reduced to six months in prison on December 31, 2018. They had not yet begun their sentences (there is a waiting list for places in the sections of Iran’s jails reserved for prisoners of conscience). They have been advised, via their lawyer, that they will not be required to serve their sentences. As previously reported, Farzaad Delaaraam (فرزاد دلارام), who has served four and a half months of his one-year sentence in Shiraz, has been released under the same amnesty. Among a number of prisoners of conscience granted early release in Iran in recent days is Farzaad Delaaraam (فرزاد دلارام), serving a one-year sentence in Shiraz. Mr. Delaaraam and his wife Ruhiyyeh Narimaan (روحیه نریمان) were originally sentenced to five years in prison by the notorious Judge Sadati ( قاضی ساداتی), but the Review Court reduced this to two years and six months for Ruhiyyeh Nariman and one year for Faarzaad Delaaraam. They were arrested in Shiraz on October 8, 2018, to begin serving their sentences, so Mr. Delaaraam has served only four and a half months of his sentence. His early release will be especially welcome since the couple have two children, one being a child, the other a young teenager. The early releases of some prisoners of conscience in recent days presumably relates to the fortieth anniversary of the Islamic Revolution of 1979. Ruya Hossein-zaadeh (رویا حسین زاده) was arrested at her home in Manjil, Gilan Province, on February 2, and taken to the Laakaan Prison in Rasht. She was released two days later, on bail of 50 million tumans ( 10,500 euros ; $US 12,000). 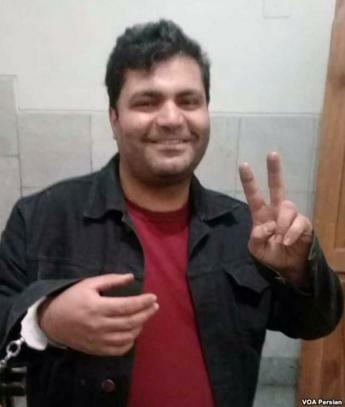 Muhammad-Reza Teyfouri, known as Kasra Teyfouri (محمدرضا (کسری) طیفوری), began a one-year sentence in Isfahan prison on December 28, 2018. Sen’s Daily has not previously reported his arrest in February 2016, release on bail two weeks later, trial and sentencing. He was initially sentenced to five years in prison by the Revolutionary Court, on a charge of “propaganda against the regime by supporting the Bahai Faith” and copying CDs of Mohsen Makhmalbaf’s 2012 film ‘The Gardener,’ which has information about the Bahai Faith. The Review Court reduced this to a one-year sentence. Mr. Teyfouri’s business is described as a shop for cultural products.